Where are you? 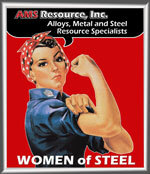 / AMS Resources / Alloy Steels / Nitralloy 135 Modified, Alloy 135 Modified, Nit.135 Mod. Nitralloy 135 Modified, Alloy 135 Modified, Nit.135 Mod. Nitralloy 135 Modified, as it is commonly known, is a low alloy nitriding steel grade with moderate hardenability. It was designed to provide a high case hardness and maintain its core strength during nitriding. VAC-ARC and VIM-VAR melting procedures tend to yield the most preferred ingot solidification, as well as superior cleanliness. Aircraft applications, including gears, crankshafts, cams and bolts.